More and more churches are finding creative ways to use music in their worship services. My background is in a more traditional evangelical-type service. At the beginning of a worship service, the song leader would step up to the pulpit, welcome the people, and ask everyone to turn to hymn number 341, “Such and Such Gospel Song.” We’d sing three stanzas (omitting the third, of course), and then the music would stop. Unless there were several hundred announcements to give, he would then ask us to turn to hymn number 299, “Other Gospel Song,” and we’d sing three stanzas of that one. I’m not really mocking the traditional way. In fact, I have been a part of that style of service for years and years, and was even involved in planning and implementing that type of service in the past. But many churches have found a better way, and if often involves the church pianist. 1. Instead of starting and stopping between each songs (especially songs strung together, often called a “set”), church pianists are now called on to provide transitions between songs. This often involves the ability to modulate, navigate between diverse meters, and change moods as appropriate. Some church pianists are able to improvise and have no trouble with this. Others will need to develop this skill, and until they do, can write out their transitions or have someone write them out for them. Transitions can be as short as one measure (especially when the keys and meters of both songs are the same), or may take two to four measures. (Usually, the shorter the better.) Having the ability to “vamp” (continuously play a one- or two-chord pattern) allows the song director to share a few words of testimony or “set up” the next song. Transitions will need to be longer if the congregation is using a hymnal; using screens (which allow you to switch between lyric slides quickly) allow for shorter musical transitions. 2. 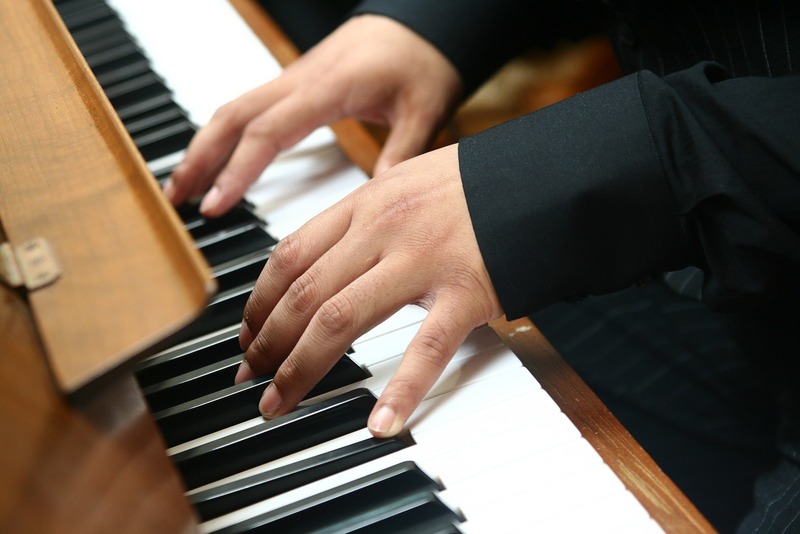 Instead of silence during pastoral prayer or special moments of reflection, church pianists are encouraged to provide soft “mood” music to set (or really, continue) the spirit of the service. Providing these special musical touches throughout the service can add a dynamic element to your worship experience. Writers of musicals and cantatas have long understood this. It’s not a manipulative move to fabricate or drum up emotionalism. Rather, it’s an opportunity to set and continue the tone of the service, much like the goal of the instrumental prelude. Places in a service that a church pianist might do this include pastoral prayers, the closing prayer and/or invitation time, baby dedications and baptisms. Music is usually slow and simple (and beautiful), and always played softly so that the person speaking can always be heard. 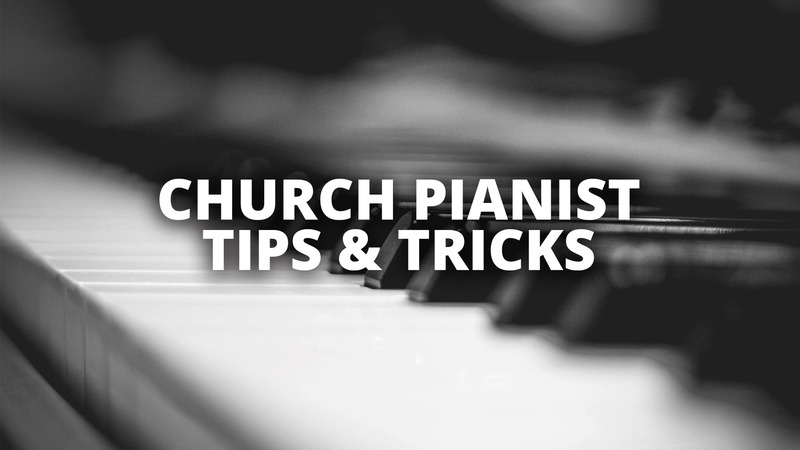 As a church pianist, if you are interested in using these methods, it often will involve a conversation (or series of conversations) with your leadership. Some leaders are uncomfortable with this and might find it a distraction. But if they are looking for ways to add an additional dimension to the service, I’m sure this will be a welcomed addition. What are some other ways you can use your keyboard artistry to enhance a worship service? I’d love to hear your thoughts. Leave a comment below. I’ve previously given tips for playing background piano music during a worship service. Let’s discuss some ideas about when you should play background music. A few thoughts, first. I realize each church is different. Some don’t incorporate background music at all, and others continually have something playing. (I once heard an entire church service, sermon and all, with background music. It wasn’t a short service. I hope that organist was well-paid.) There are also many opinions about background music. If you are a church pianist, you would serve your church best to find out what the church leadership desires in this area. Prayers. Corporate prayer is an important time for any worship gathering. I’m not suggesting that all corporate prayer should have a music soundtrack, but it might be appropriate from time to time to quietly accompany a prayer with simple, reflective chords. Scripture/Devotional Readings. You never want to distract, so if you think you’ll be a distraction, or if you have been in the past, don’t play background music during the reading of Scripture. But if you can handle it with class, it would provide a nice touch to the service. Invitations. Probably the most common place to play background music. Vary it up some. Many times I’ll play through the invitation hymn that’s going to be sung, but many times also I’ll just play some simple chords, or make up a creative melodic motif. Again… don’t be a distraction! Testimonies. It might be nice to provide a backdrop for a personal testimony being shared. Transitions. You might consider include a few bars of music between certain elements in your service. If you have multiple places for transitional music, consider using a few well-known measures of a well-known hymn to reinforce a particular theme. Some will argue that no matter what you do, if you provide background music in a worship service, you will be a distraction. (Technically, I have to agree with this position. Being a musician, I immediately notice any music throughout a service. And I’ll confess, I’m often distracted. However, I also recognize that being distraction is often a result of a lack of discipline.) You do need to be careful about distractions. Volume, tempo, notes played, artistry, and so many other factors can contribute to distracting elements. Even advanced musicians can have difficulty with this. My best advice? 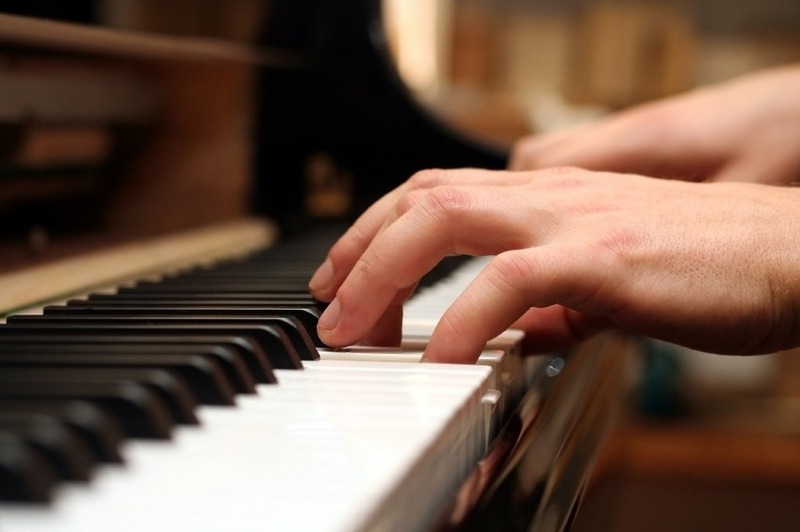 Develop your improvisational skills as a church musician. This will help eliminate distractions. Exceptional piano accompanying is to a soloist what fine China is to Christmas dinner. Growing up, dinner time was always a family time in our house (as it should be). That was especially true during the holidays. For Christmas dinner my mom would make a feast and serve it on our dinning-room-only China dishes. The food was awesome, and the China it was served on contributed to make for a memorable family time. I’ve squeezed about as much as I’m going to get out of that analogy. Let’s just say it’s a generally accepted fact that an accompanist will make or brake a performance. So let’s break this down. 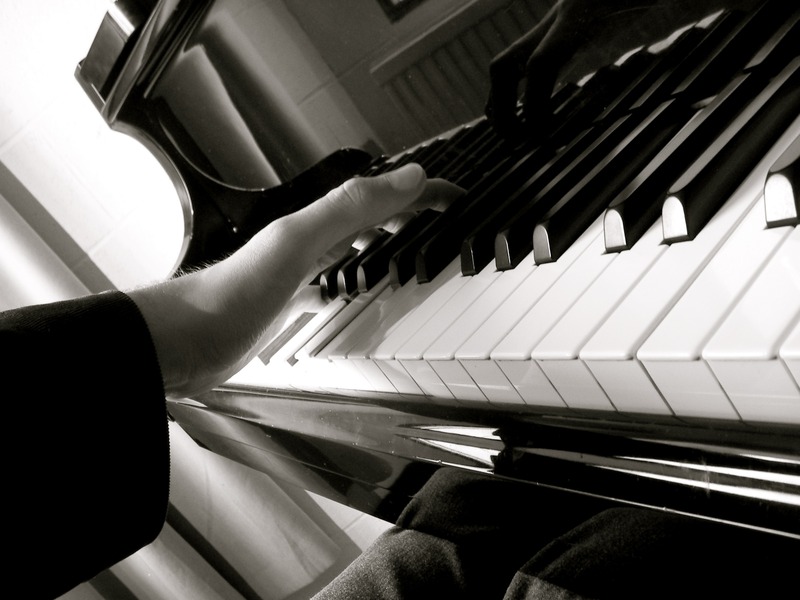 How can you be an exceptional piano accompanist for your church soloist or ensemble? Spend the time necessary to be able to play the arrangement at various tempos. Know where the repeats are, and be aware of all expression marks. This is the foundational step to accompanying well. The more you can rehearse with the soloist or group, the better the “ensemble” will be. Less rehearsal sacrifices confidence on the part of both the vocalists and the accompanist. 3. Become comfortable enough to improvise. This one’s a little more advanced—but if you can take something out that’s not working, or add something to improve, do so. I use to feel that if it is written, it has to be played exactly as notated (the whole play-it-as-the-composer-intended-it issue). But that’s not always the best option. For example, orchestra reductions don’t always work well with just the piano. Imagine what might make it sound better. What can you add (or subtract) to make it match your pianistic style? Just make sure your improvisations don’t interfere with your primary role: accompanying. If you add too much, you have the potential of slowing down the performance or coming across as a competing component in the ensemble. Conversely, if you don’t add enough, the vocalist might feel unsupported, which can ultimately contribute to a lack of confidence in the final performance. Like anything, you need to strike a balance. Developing your accompanying skills is a worthy goal, especially in the service for the King. In my experience, far too many pianists miss out on the opportunity to refine their accompanying abilities, which is truly sad. Perhaps they don’t consider it necessary to focus on. Regardless of the reason, I believe you can never pay too much attention to the details that help to make a song minister with greater effectiveness. Sure, God can “use” a song that is poorly prepared and unrehearsed, but let’s not put Him in a box. Let’s give Him our best. Christ deserves our finest China. Question: What helpful tips can you share that have helped improve your accompanying skills? I recently attended a seminar in which the clinician gave helpful hints on how to play background piano music during specific service elements, such as the invitation, or under someone speaking. Although the majority of the piano playing in my church is covered by very capable and talented pianists, I usually play during the invitation time. Here are a few things I’ve learned that might help you begin to become the kind of “background pianist” your church may be looking for. 1. Play softly and slowly. Playing softly goes without saying. You’re not in a competition with the speaker; you’re obviously there to play in the background. Playing slowly is a little trickier, especially if you are used to taking a particular song at a faster speed. Even if the song should be sung at a fast speed, if playing while someone is speaking, it will be distracting if you play it at a fast speed. In addition to playing slowly, I often add extra measures following phrases, or even an extra beat following certain words. 2. Avoid playing exactly what is written. When it comes to congregational singing, the hymnbook is well written. When it comes to piano playing, the hymnal should merely be your reference point for melody and rhythm. So here’s your big chance! No one is singing or playing with you (assuming you’ll be playing alone). Break away from the mold of the often trite harmonies in the hymnal, and add different chords and chord progressions. Greg Howlett, the clinician I referred to above, does an excellent job of explaining this concept in his very helpful site under Free Christian Piano Lessons. Maybe this is an obvious point as well, but it just makes sense that if you’re not the main event, try not to compete with the main event. I almost entirely avoid runs and arpeggios (although, if done right, they arguably could work). In fact, although I use various chord substitutions, I tend to keep the chords very simple. I’ve even been known to leave out a few notes of the melody (heresy!) if it is very repetitious. If the pastor is describing the elements during a reflective communion service, play music about the blood or the cross, and make sure you do so slowly and thoughtfully. During a baptism, the mood might be more joyful and soaring. When I play for our invitations, I will play a familiar invitation hymn (something like “Just as I am” or “I Surrender All”), and I’ll continue to play softly while the pastor closes the service in prayer. Then, when he switches to share a final thought with the congregation or a few announcements, I change the tone and the mood to match. Once he dismisses the congregation, I usually segue again into a postlude song, keeping it in the same key and with similar improvisational elements used earlier. It’s still background music (while people talk and gather their things and exit), but I’m sending them off with the “mood” I want to, which is usually upbeat, encouraging, and hopeful. It might be good to mention that with time and practice, you’ll get better at this. Study your pastor and get to the point where you can anticipate his direction. Even though my pastor’s prayers are not rehearsed, I can usually anticipate when he is nearing the final, “In Jesus’ name, Amen,” allowing me to cadence and end on a tonic chord at the same time he finishes. While it may not be a necessity, it certainly helps complete the “setting” that the Holy Spirit can use to touch someone’s life. I hear it a lot: someone will come up to me after a service and say, “I could listen to your piano playing all day.” I have to admit that I internally cringe when I hear that. Hopefully their compliment doesn’t mean they didn’t pay attention to what the pastor had to say. (In fact, I’m almost sure it doesn’t mean that.) Hopefully it means that my music was effective in drawing their attention exactly where I want it: to what the pastor had to say. And if you are fortunate to have a pastor like I do who is passionate about the truth and about souls coming to Christ, you will have no greater joy than to provide the very best in background piano music.